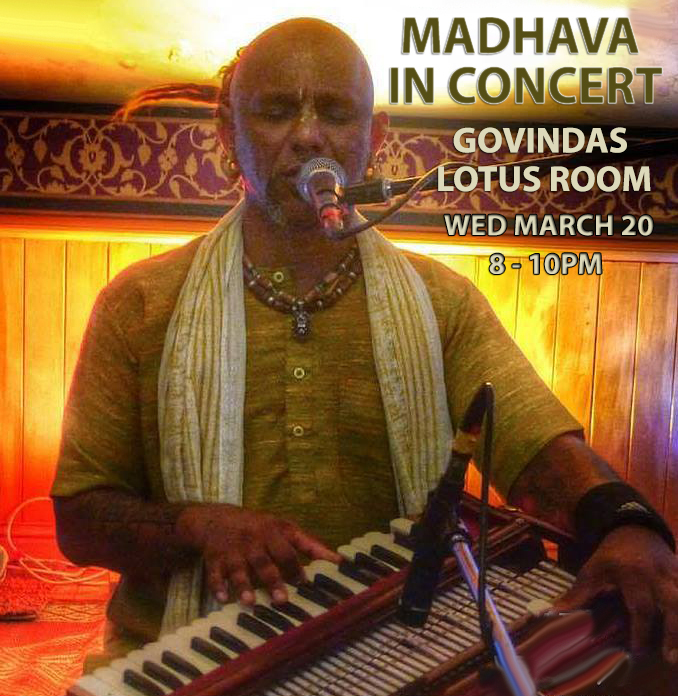 Join us for inspirational evenings of kirtan mantra music with Madhava & his kirtan band. Originally from Mauritius, Madhava was trained in kirtan in the North Indian Temple town known as Vrindavan. He now travels the globe sharing the joy of kirtan. Get ready for a powerful experience. Mantra chants flow from the heart, accompanied by soothing harmonium melodies and intricate drum beats. Sit back, close your eyes, breathe deep, relax...Immerse yourself in the sacred sound of kirtan.